- 1989 Spanish Cultural Centre – Cairo. - 1989 Al shatby Cultural Palace – Alexandria . - 1995 Sidi Gaber Palace – Alexandria . - 2001 Centre of arts – cairo . - 2004 Bibliotheca Alexandria – east hall . - 2009 al masar gallery – cairo . - 2010 al markia gallery – QATQR. - 1989 Encouragement Prize in painting – First Salon of youth , Nile Gallery cairo. 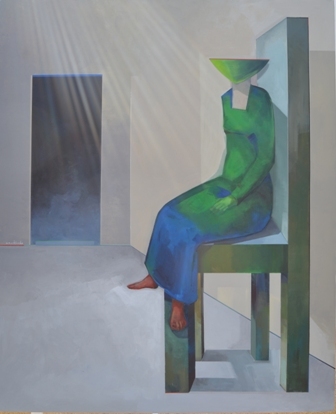 - 1990 First prize in painting – second salon of youth in cairo. - 1994 Prize of Merit 5 th international Biennale of cairo. - 2002 prize of annual salon of small art works. - 2004 Prize biennale eqwadoor . - Museum of modern art – cairo. - Kuwait nation council of culture and arts.